April 16 weekend @ Crown Point, IN, Rockwell won Winners Dog and then took Best of Winners for another point towards his AKC Championship. He now has 7 points including 1 of his majors. THANK YOU!! Judge Lynne M. Myall !! 2nd Show, Rockwell won Winners Dog and then again Best of Winners for 2 more points. He now has 9 points, including 1 of his majors. Love my boy!!! He is 8 months old now!! THANK You!! Judge Dr. Robert A. Indeglia !! 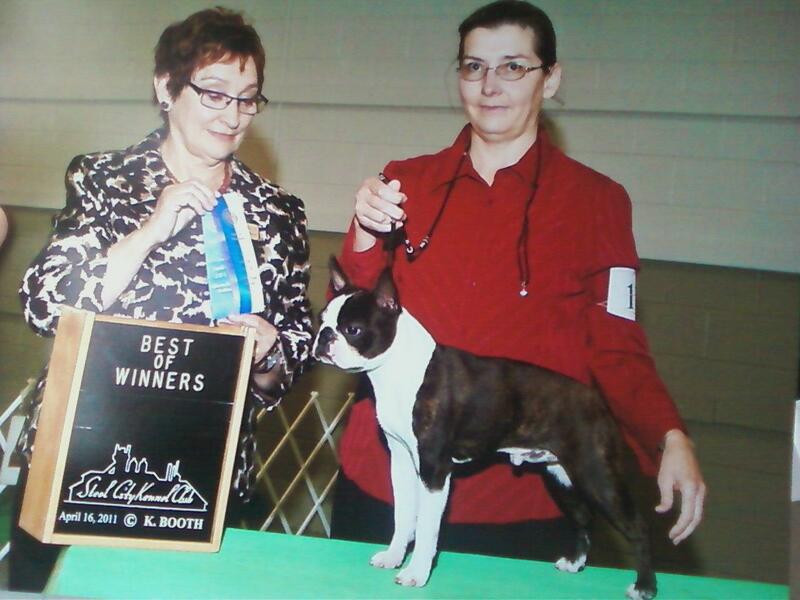 April 21, 2011, Rockwell won his 10th AKC point!! THANK YOU!! Judge Betty Regina Leininger!! Rockwell got WD, but no point as not enough entries. THANK YOU!! Judge R.D. Ennis!! 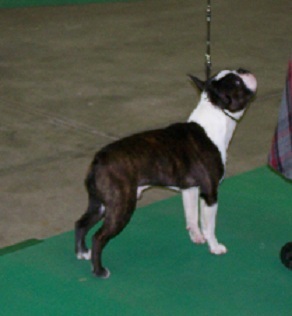 Rockwell won Winners Dog for his 11th AKC Point!! Now he only needs 4 more points, of which has to be another major. GO ROCKWELL!! THANK YOU!! Judge Vicki Abbott! !